Munich is one of the most fascinating cities in the world. This Bavarian wonderland is a hub for German art, technology, and architecture. Beer enthusiasts will find themselves in paradise when visiting Munich. One of the top beer-related attractions is the Augustiner Brewery, the most popular brewery in the city. This is one of the most authentic breweries in the country and is located away from the city centre and its tourist traps. If you are visiting during October, then joining Germany’s iconic Oktoberfest celebration is a definite must. Residenz is Munich’s top tourist attraction for a reason. This former royal palace of the Bavarian monarchs will take at least 2 hours to see in its entirety. Other must-see sights in Munich include the Alte Pinakothek art museum, Nymphenburg Palace, and the Munich Stadtmuseum. Budget travellers will benefit from Munich’s many free walking tours. For no charge, get a chance to see the city and learn about Munich’s history. 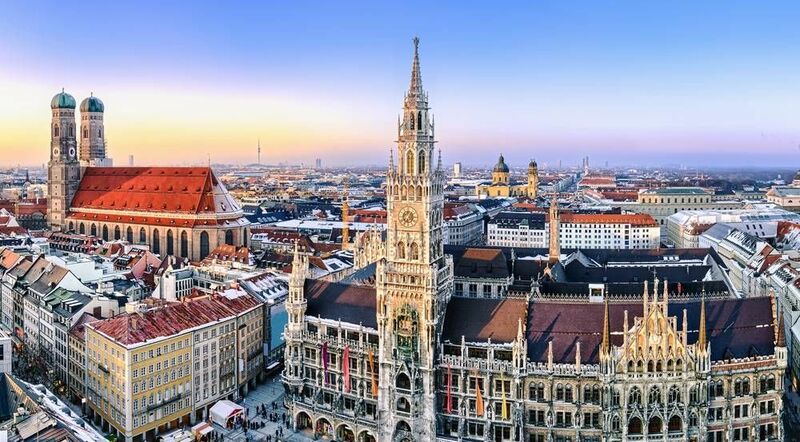 This top rated tour will walk you through Munich for 3 hours and take you to the top spots in the city including the iconic St. Peters Church; Frauenkirche, Munich's famous twin-towered church; and The Royal Residenz, the largest city palace in Germany. Learn the absolute best of Munich's history from guides that know their material. For those who want to take touring into their own hands, there's a free self-guided tour map available for download in the Big Boy Travel website. This plan covers 2.5 miles of walking distance and lists the most important sights and attractions within the city. Take your time and walk the town for a full day, taking a long lunch in the middle, or speed things up if you are short on time. The full walk can be done in 90 minutes, but you are free to modify the tour as you wish. This audio tour of Munich, narrated by Rick Steves, takes you on a fascinating adventure through time and history. Download the free from his website, and you're all set. You can also subscribe to Rick's podcast on iTunes if that's more convenient. Learn about the history of Munich and walk to some of the most popular sites in the city. This audio tour is excellent for those who want to be their own tour guide and have the flexibility to stop and go as they wish. Are you from Munich and want to be a tour guide? Please get in touch by submitting your details on this page!